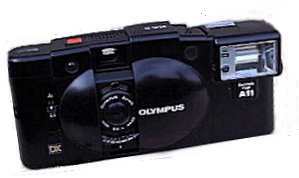 This is basically an XA2 with DX, a 1.5 stop backlight facility, and the ability to use 1600 film non-DX. Otherwise the same as the XA2. Seen here with the A11 flash attached. home A red version was made - very rare now.